My week started with taking my son to shoot the Long Beach Grand Prix. Now there are many who might say that this is a truly an interfaith experience as everyone there from many different ethnic backgrounds and spiritual beliefs were all praying together for the safety of the drivers and a winning car, but I did not attend that event. I was there at the invitation of Yoland Travino, of whom you have heard Don and I talk before. This time she asked Don and me to come down to meet with “Tata” (Apolinario Chile Pixtun), an elder of the Mayan Confederation, healer and shaman. She wanted Don to receive a healing from him and to have us participate in a Mayan Fire ceremony. As I had come down the week before for the Grand Prix, I stayed on in order to meet with Don at the Burbank airport, pick him up and head for the healing.Don was scheduled to come in at 12 PM originally but was held up for about twenty minutes due to the fact that Jerry Brown (yes the Jerry Brown) was on his small flight. The people hosting Tata had scheduled us for 1 PM, and I told Don that we would not make that appointment. Informed of the change in schedule they insisted that we should be able to make it with no problem. They seemed to think that it was only a fifteen minute drive despite the fact that they lived in the area and should have known better. As I spent many years there working for SCE there I did know better. They finally settled on telling us that if we did not make it at that time they would assume that we would be late. It took us 40 minutes and the traffic was not even particularly heavy. I recognized Tata as soon as a saw him, but couldn’t figure out from where. He felt the same way. As we talked (through a translator), it turned out that we had both been at the United Religions Initiative’s Charter signing in Pittsburgh PA in 2000 and in fact had done ceremony together. 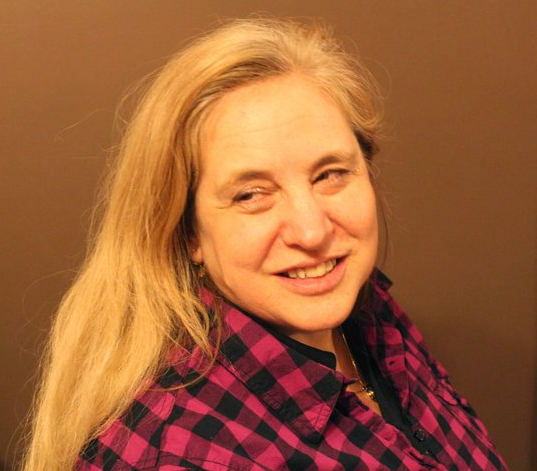 If you remember a previous post on this blog about Gary Smith and his appeal that the indigenous people and the Wiccans work together to protect the URI, Tata was also one of the people Gary had encouraged in that effort. 1) Tata washed my hands with scented water. 2) He did a divination involving a large stack of colored beans with several small objects of stone and metal mixed in. He mixed them all together and then asked me to grab as large a handful as I could with my damaged hand. He swept away the others and then examined those I had grabbed, sorting them into stacks of four. The numbers thus generated and the specific beans and other items were the basis of his divination concerning my health. Without going into personal details, he said that there was a karmic component to my problem, that he would have to consult with the other Elders back in Guatemala, and that we should stay in touch about this. 3) He asked my birthdate and did a complicated reading based on the Mayan calendar. This related back to the divination and included a story about our mutual friend Gary (now deceased). 4) He explained a ceremony that I should do every sunrise for 80 days. He said that the concepts were Mayan, but that I could use Wiccan ritual forms to do the ceremony since he knew about “the Wicca and it is a very sacred path”. 5) He told me to strip down to underwear and proceeded to do some of the most strenuous bodywork I’ve ever experienced (Mayapracty?). 6) He gave me a complex recipe for a fruit drink and for a “cleansing” drink that that I should drink once a day for 90 days. On Friday, faced with an entire day to kill we decided to go to a museum where, fortuitously a display of both Panamanian Kuna art and Mayan art were featured. I hope that Tata will have an opportunity to see this fine display of several rooms of ceremonial and daily life artifacts. By the time that we were finished Don was feeling poorly and so, after lunch, we rented a room and decided to take a nap prior to the event. When the time came to prepare for the ceremony, it became clear that Don would not be able to go and so he sent me, along with his initiate’s cord, to the ceremony without him. Between feeling so good from Tata’s healing work and taking an early morning conference call with the URI, I had forgotten to take my morning meds and by early afternoon I was in withdrawal! Nothing to do but get back on track with the meds and sleep. I had been told to arrive early in order to help Tata and have an opportunity to speak with him as I had not had the time the day before. That was not to be however, as both Yoland and Tata, arriving in separate cars, were very late. I was immediately put to work handling the flowers and quarter altar arrangements. The Acjachemen people present a gift. Just as I was about to sit down and get out of the way a familiar voice said at my back, “excuse me but I have a gift for Tata from the people of this land. Could you tell me when would be a good time to present it?” I turned around and was delighted to find Adelia standing behind me with her partner. Adelia is a member of the Acjachemen or Juaneño mission people of San Diego, the First Nation People of the area. You will remember her as having invited Rosalia and myself to attend the Bear Dance of her people while Rosalia stayed with me about six years ago. As I was not certain of how the ceremony would proceed, I went to Tata immediately to ask whether he had a moment to meet with Adelia. He did, and so I introduced him. At that point Adelia, also uncertain of ceremonial procedure, decided to present the gift she had brought. It was a lovely, very large scallop shell necklace, sacred to her people. The fire ceremony has several important functions. The first is to feed the elemental , fire; the second is to ask the blessing of the Gods , and the third is to ask a blessing or boon of the elements, and the Gods. I have been fortunate to attend three other such rituals done by priests and priestesses of the Mayan people. This one was, for the most part, the same ritual. It was not well explained and so many there were left rather more in the dark than might be considered strictly polite. I found myself in the uncomfortable position of explaining why the fire was laid as it was and some of the broader points of the ritual though I was hardly qualified to do so. He presented the entire ritual in Mayan and so no one there was able to translate it, though all explanations of what we were to do were in Spanish and translated into English. I was able to recognize some of the names of the God forms when they were called upon from previous experience, but must wonder whether many of the people there would have been so willing to participate if they had been more fully aware of the deities asked to be present. The atmosphere was a divided one. While everyone was very respectful, many there were just excited to be witness to an “authentic” native ritual, while others of us were preparing for sacred space. It was interesting. The fire circle was laid out in brown sugar. A circle divided once for the separation of the heavens and earth. It was then divided in the other direction to represent the division of night and day. Softball sized balls of copal resin were laid at the four quarters and in the middle. Over this pattern large rounds of chocolate were laid in rows. Green boughs were laid in the same pattern over the original sugar and then utility candles were laid in bunches in the same pattern as the copal. In other rituals that I had observed the four quarters were then filled with offerings to the twenty or so Gods of the Maya, each God fitting into one of the quarters depending upon its relationship to light and dark, heaven and earth. The quarters of the working circle were delineated by color, with bouquets of flowers to indicate the direction. Red was for the East, black for the West, yellow for South and white for North. I could not believe it when I saw one woman using the altar in front of her to set her coffee cup and plate on. Though Tata had given me full permission to take pictures, I did not feel right taking flash shots during ritual and as a result the after dark pictures lend a feeling of other worldliness to the ritual. As people arrived they passed through a “door” of ribbons and were smudged. As I had arrived too early for this service I left through the front door and walked around the side, through the gate and received a smudging. I held out Don’s cord, which I had tied around my neck, in order that it receive a separate cleansing because it represented Don’s presence at the ritual and deserved the same treatment as any other participant. After much talk the fire was then lit and the God and elemental forms called to be present. Then Tata blessed the space with the smoke of the fire using a special stick (way too big for a wand and way too short for a staff) to wave in circles in the fire and then outward into the space. Once this had been accomplished at all four quarters, each of the women was handed a piece of Mesquite by a male volunteer and each of the men a piece of Pine by a female volunteer. Tata explained that the women would go first, each asking or giving forgiveness as appropriate, making a full circle of the fire then offering her wood before returning to her seat. Any woman in the blood of her cycle was asked to give her wood to Yoland to place in the fire. The explanation was that this part of a woman’s cycle was one of great energy that would conflict with the fire and offer potential harm to both while disrespecting the fire. This seems to be a common theme in most indigenous rituals throughout the world. Adalia whispered to me that she doubted many of us need worry about that any longer looking around the circle and I agreed. After the women the men followed. Next, while candles were passed out, again men to women and women to men, Tata took a basket full of seeds and other natural elements and speaking to a handful at a time cast them into the fire to carry his words to the elements at each quarter. It is truly unfortunate that we do not know what he spoke to them as it was in Mayan and no translation was offered. We were told to repeat the process of offering this time asking for the strength and guidance to do what needed to be done which depended greatly on each of us as individuals. Tata then repeated the offerings of seeds while we were each handed a handful of spices, bits of bark, seeds and leaves. Adalia had brought rose petals and passed me a bit to add to my offering as well. For a third time then the offerings were repeated, this time asking a boon for ourselves. Each time offerings were made a conch was blown long and repeatedly until all offerings were completed. At the last offering, one more pass of the basket and seeds took place and one more pass of the stick swirling through the fire. Then Tata picked up a large copper bowl, and cedar bough with which he liberally doused the fire and then sprinkled each of us. Its worth noting that he repeated several times that it was only water and would do no damage. I must wonder how often he was asked what was in that bowl. I can tell you for a fact that it was not just water as it was as white as milk, though I believe that it was nothing harmful and I have no idea what had made it so white; I strongly suspect essential oils since it was quite fragrant. As he passed around the circle I held out Don’s cord and he gave it its own blessing, just as I had had it smudged separately. When that was complete Tata announced that this was our time to sing, present a poem, declare, etc. The first to stand was a woman who stated that she had been deeply moved by the ritual and felt a new connection to everyone in the circle. The second was Adalia who offered a blessing to everyone present from her people and then sang a song of blessing for Tata. The third was the young man who blew the conch. He offered a poem in Spanish which he promised to send to me, in Spanish. He offered also to translate it but I told him I really wished to see it in its original language as poetry often doesn’t translate well. I will post that in good time. No one else rose though several who knew me asked if I would not sing something. I did not. I really could not think of anything appropriate. Tata laughed at the group in general and said “yes I know you are cold, I know you are hungry, I know you need to get home, I know that you have to work…so do I. A ritual takes as long as it takes” and though by this time my teeth were chattering, and my legs had become stiff and unresponsive, I was so delighted to hear him say that! Shortly and with scant ceremony he thanked us for coming, announced that he felt our offerings and requests had been well received and ended the rite. I went over to him to ask at what time he wished to see us the next morning and ended up staying a bit to translate for him as Yoland was busy fielding her own questions. As soon as was politely possible I left. I returned to the hotel to see how Don was fairing and discovered that he was better. Like school kids at a pajama party we stayed up much later than necessary or prudent discussing the ritual and telling jokes until late in the evening, finally falling asleep about six hours before we had to be up to see Tata for another healing session and divination for me. of herbs in Don's left hand. The second healing started with me stripping down again and Tata cleaning my aura, first with a cloth soaked in Florida Water, orange essential oil, and eucalyptus essential oil, and then with a bird’s wing. He didn’t use the wing like a strigil. Instead, he flapped it like a bird was swooping down at me from the sky and buffeting its wings against me. Then he asked me to hold the cloth over my face, breath in deeply through my nose, hold it as long as I could, and then out through my mouth & out the window – three times. The essential oils burned going in, making this an interesting experience! Tata then did more bodywork -- tougher than the day before! The session ended with him prescribing and providing three naturopathic/herbal medicines for me to take. Since my hand was still not shaking, I plan to give his recommendations a serious try! Once Don’s healing was completed Tata asked me to have a seat and cleansed my hands with scented water. He then chose one of two bags, (there was a green one and a red one, of which he chose the red one) and setting the other aside dumped the contents on the table. Among the items he separated the small seeds from a group of larger talismans. These consisted of rough cast medallions, larger seeds and seed pods, shells, and various other items that I did not have time to study deeply. He placed them in front of me in a crescent with the horns of that crescent facing inward toward the table and delineating an area in the middle of the table. He then gathered up the remaining smaller seeds and putting them together in the middle of the table asked me to say my name clearly five times. Now I have many different names which have different associations with the different compartments of my life, and I had to think a moment as to who I was and what name I would use. Having chosen and spoken, he asked me, as he had Don, to gather up a handful of the beans instructing me to use my dominant hand, which is my left. I did so and he swept the remaining seeds aside and had me put the seeds in my hand in the middle of the table between the horns of the talismans. Once this was done he formed two rows of piles of four seeds each. Both rows had exactly the same number of piles and there were no seeds left over. From this he deduced that I was very healthy, my life was very balanced and in harmony with the earth and world, and that I was happy and content with how my life was proceeding. He said that he saw only one issue, which might or might not be a problem. I had a head and body always in motion, never still. One could look for Rachael in one place but she would be in another, and by the time you got there, in another still. So far this was ok, but I must remember to focus and not forget to remain spiritually grounded. Next he asked my birth date and from that determined that my totem animal was an owl, that birds were drawn to me in general, and that my purpose in life was to care for seeds. He said that I should sleep with feathers, and in particular owl feathers if possible, near my head. He then instructed me to collect seeds and keep them in a basket on my altar and meditate over them for twenty days after which I should offer them to the water, the ocean, a river, or a lake in that order of preference, and continue these practices for the remainder of my life. This was the message that the Gods had for me. When this process was complete he cleansed my aura, first with a kerchief soaked in Florida water. He breathed in deeply then waved the kerchief at me snapping it sharply pushing out the air in his lungs hard and fast with his diaphragm in bursts, one with each flap, snap. Then he picked up the eagle wing and used the same technique that Don described slapping my cheeks and head all around as I turned in a circle. He even lifted my hair to get to my scalp. Normally, I would not think further on this except that I have a pentacle that I have had for many years which has an owl with outstretched wings on it. He did not see that symbol as I wore it under my clothes. I belonged to three covens during my training which were all named after owls, and have been visited on more than one occasion while camping by great horned owls in the night. When I was a child I had two crows who stayed with me for three years before moving on. They would ride on my shoulder and follow me to school causing havoc when they would fly into the classroom occasionally. I don’t think the principal ever believed me when I told him that they were not “my” crows. 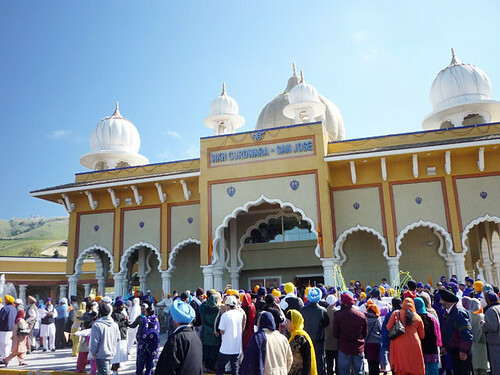 Hundreds (or maybe thousands) of people showed up Sunday, April 11th, to celebrate the Grand Opening of the second phase of building at the San Jose Gurdwara Sahib. Members of the Board of the Silicon Valley Interreligious Council (SiVIC) were on hand for the dedication to offering their support and blessings. The series of programs began very early in the morning and really special events are planned by the Sikh community for the next several weeks. There will be special prayers, displays and musical events. Sunday at 10am there was a parade with a float in which they carried the Guru Granth Sahib (Sikh Holy Scripture) around the bounds of the Temple. 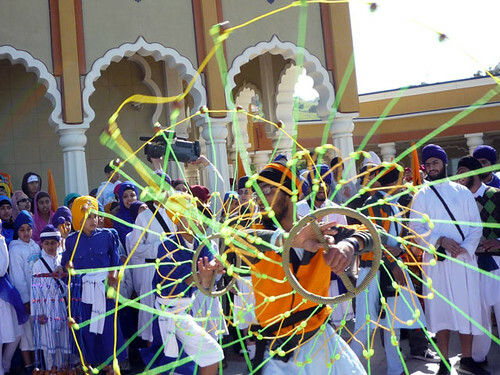 Young people showed off their skill at Gatka (martial arts) for an admiring crowd. I spoke to one teacher who said that their Sunday school has 600 students who come to learn Punjabi and Sikhism each week. After the parade and the offering of Langar in the South Hall and outside everyone tried to gather in the Main Hall. As large as it is, there were many, many people who could not be in the standing room only space. Much ceremony (all in Punjabi) went on for quite some time. This is a truly beautiful temple with a large and supportive community. It was a pleasure to share their day of celebration. 1. I was asked to continue as the Coordinator for the Campus Chaplains Association at the University of Toronto for the 2011/2012 school year. This will be my fourth year in this position. I was pleasantly surprised this year when there was no discussion at all and was acclaimed in unanimously by the group of 20 chaplains who were able to attend the meeting. Currently, we have over 30 chaplains representing various religious, spiritual, and ethical backgrounds -- including our first Humanist chaplains. Here is a link to our website (which I noticed needs updating as we are missing a couple people and my name is misspelled! ): http://www.multifaith.utoronto.ca/Campus-Chaplains-Association.htm. I will start working on the annual report of the CCA and make it available to CoG once it is completed. It will list all the things the CCA has done over the past school year. 2. I will do a talk on representing Pagan traditions in interfaith settings at the Mystic Roots conference in London, Ontario this weekend. 3. I have been asked to co-moderate a discussion on spirituality and ecology at the People's Assembly on Climate Justice. Here is a link to the event: http://torontopeoplesassembly.wordpress.com/. Anyway, I am happy to share these events and look forward to participating in more. If you have any questions about the work I have been doing here in Toronto, please let me know!